Send the perfect gift with a Mr.Wheeler Voucher. 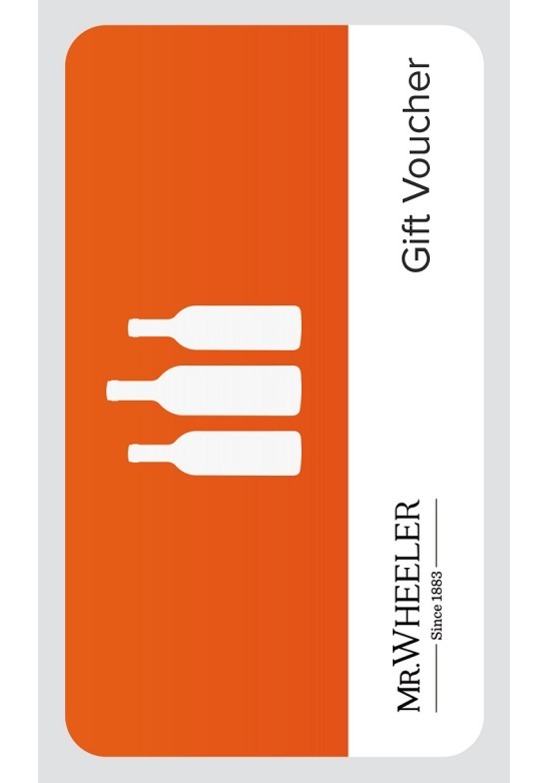 Vouchers are the ideal way to make sure the wine lover in your life gets something they really want. Available in £5 denominations up to £100, these vouchers are sent directly by email to your inbox for you to either print at home or to send on to your intended recipient. You can personalise the message to suit the lucky receiver. 2. Enter a gift message (if you'd like to). Your gift message will appear on the voucher. 3. Add the voucher(s) to your basket and checkout as normal. Please note, your voucher(s) will be sent to your inbox in a separate email(s) to your email confirmation.